LIGHTING UP QUEENSTOWN GARDENS 2nd – 5th JUNE 2017! On June 2nd – 5th 2017, Queenstown will be illuminated with art and sculpture for the second LUMA light festival from 5pm until 10pm! 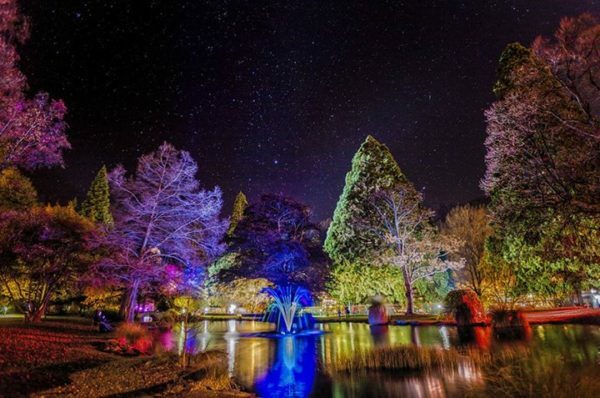 Over 10,000 locals and visitors from all over the world attended LUMA last year, which transformed Queenstown’s famous Gardens and lakefront into a dazzling display of glowing art. LUMA Southern Light Project, and the LUMA Light Festival Trust are supported by local government event funding and sponsors from all over Queenstown and Otago. LUMA is not a commercial event, it is a community event which local people can be proud being part of. LUMA works closely with SILO, it’s event management team to bring the event to Queenstown each year. TAKE THE LAKE! We will be running the Water Taxis from Queenstown right through until 10pm on the Friday and Saturday – a great way to avoid the traffic! Head to www.luma.nz for more event info!